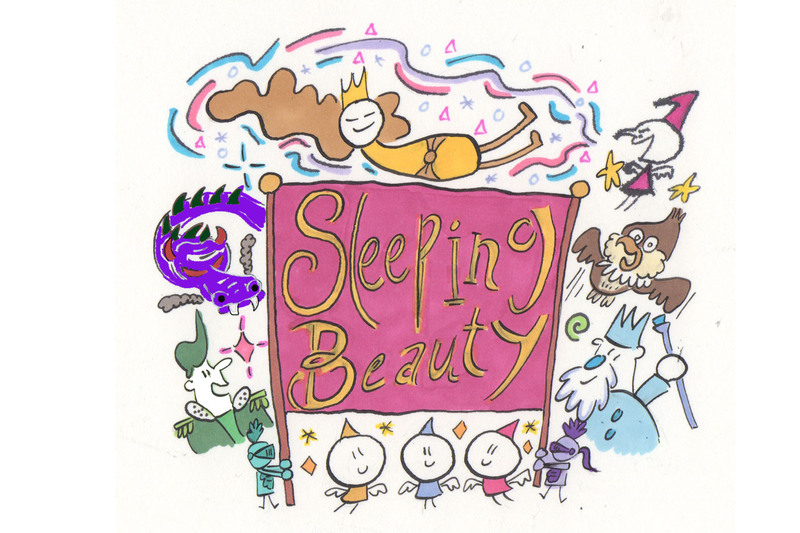 Provision Theater Company’s Theater for Young Audiences will present a musical rendition of one of America’s most beloved classic fairy tales, Sleeping Beauty. The play will run May 11 -July 27 with performances on Saturdays at 12:00 p.m. and 2:00 p.m. at Provision Theater, 1001 W. Roosevelt Rd., Chicago, IL 60608. This whimsical, endearing, lively rendition of Sleeping Beauty offers something that everyone will enjoy–whether you’re young or young at heart,” said Priscilla Hummel, Provision Theater Education Director. Hummel will direct and choreograph the production with book, music, and lyrics by Marc Robin. The show features Ashlee Edgemon as ‘Princess Amber’, Jordan Williams as ‘Prince Hunter’, Ryan Naimy as ‘Sienna’, Monica Szaflik as ‘Ruby’, Amanda Hartley as ‘Marigold’, Sarah Grant as ‘Periwinkle’, Natalie June as ‘Magenta’, Adam Hurst as ‘King Lapis’, Kristi Webb as ‘Malakite the Dragon’, Joseph Nelson as ‘Sir Rulean’, and Julia Clavadetscher as ‘Lady Lavendar’. Ticket prices for Sleeping Beauty are $15 for adults and $10 for children 12 and under. Free parking is included, and groups of 10 or more receive 10% off. For tickets, call the box office at 312-455-0066 or visit www.provisiontheater.org. Provision Theater Company is devoted to producing works of hope, reconciliation and redemption; works that challenge us to explore a life of meaning and purpose. Provision Theater Company has celebrated numerous Joseph Jefferson Award nominations for their critically acclaimed productions of SHADOWLANDS, THE HIDING PLACE, COTTON PATCH GOSPEL, A CHRISTMAS CAROL, C.S. LEWIS ON STAGE, A CHRISTMAS MEMORY & THE THANKSGIVING VISITOR, THE SPITFIRE GRILL and BEAST ON THE MOON. Other highly praised productions include: THE FOREIGNER, BONHOEFFER’S COST, THE TIME OF YOUR LIFE, SANDERS FAMILY CHRISTMAS, GODSPELL, SMOKE ON THE MOUNTAIN, THE BOYS NEXT DOOR, and THE GOSPEL OF JOHN.